Looking for an appliance that lets you quickly make smoothies and other blended drinks from your kitchen counter top, hotel room or office? Travel blenders are small, compact and convenient for enabling you to create your own flavour combinations to take with you throughout your busy day. We have compiled a guide of the best features and factors to take into account before purchasing your own travel blender, that will help you start making healthy and tasty drinks to suit your dietary needs. 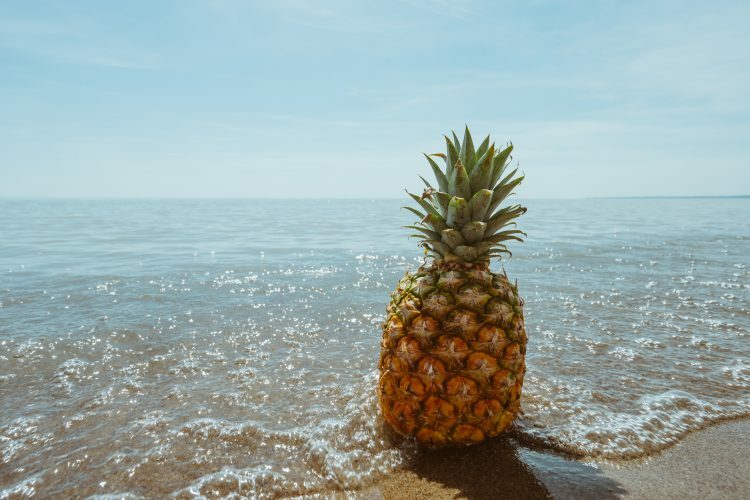 If you would like to look at a list of healthy smoothie options that you could make in any of the travel blenders below please follow this link. If you would like to view what we think is the best value for money travel blender then we recommend you to take a look at the Epica Personal Blender on Amazon here. It has all the great features you could want in a fast blending and convenient travel blender, that quickly produces smoothies and other blended drinks to take with you on the go. 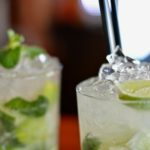 Looking for a travel blender may seem like an easy task but it’s important to know what to look out for. Otherwise you may find yourself short of the most important features required to get the best out of your travel blender. 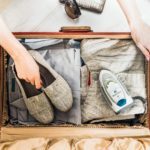 You will want to make sure the blender you are purchasing is a travel blender size and not a full size one as that will be very difficult to take with you while travelling and take up a lot more space. Battery powered travel blenders are more convenient when traveling but may offer less blending power. They would be more suitable if you are always traveling. Corded blenders are usually more powerful but at the cost of some portability and the limited location of where they can be placed. Using it for home use if you don’t travel too much would be a good option if you still want a decent compact travel blender. Since most travel blenders are fairly small in size and most won’t be plugged in for power, you will want to look for ones with a decent wattage to make sure they can provide enough force to crush and blend ice or frozen fruits. Some added extras that you might find with a lot of travel blenders is the addition of travel jars or bottles. Where the ingredients are blended within these and then detached from the base unit: using a provided lid to turn it into a travel bottle. This saves time and space by not having to move the freshly prepared drink into another container. This highly portable and lightweight corded travel blender is great for taking with you wherever you go whether thats the office, business meeting or hotel room. It has a one touch pulsh operation for fast and easy blending and it comes with a travel lid so you can take the bottle off the unit base for real portable utility. 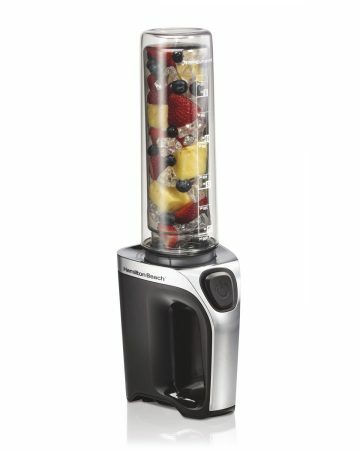 It comes with an efficient 175-watt motor that will provide you with all the blending power you need fast. We would recommend this travel blender for people who are looking for an affordable and easy to clean product that will get the job done fast and efficiently. Just be aware if you are taking this to use at the office because it is known to be quite noisy for it’s size when in use. 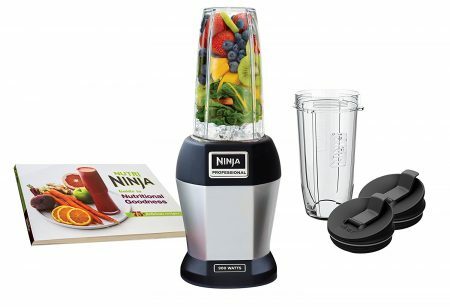 This Nutri Ninja Pro Blender is corded and comes with a powerful 900-watt motor that will effortlessly crush and grind down ice and frozen fruit. There is no problem getting a smooth consistency even when crushing seeds, stems, ice and skins while blending. All the parts included are BPA and dishwasher safe for your convenience. Includes 2 different sized plastic bottles with lids so you can make 2 servings at the same time, which is useful if you accidentally use more ingredients than required. If you are looking for a more premium type travel blender this is the one for you. With it’s higher than average price tag for most travel blenders on sale, we recommend this product for people who are willing to spend that bit extra. This will enable you to get the very best out of a travel blender that will last for years to come. The Oster travel blender is pleasing to look at with it’s vibrant design that will add that little bit of style wherever it’s being used. It comes with a fairly decent 400-watts of power and 250 blending watts that will blend any sports shake or smoothie fast. Being dishwasher safe and having a BPA free travel bottle are nice extra features. It includes a 1 year warranty which helps keep your peace of mind. This is a great travel blender to purchase as your first one as it’s small and compact but also brings decent blending power to your travels. 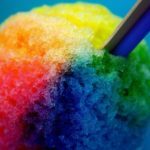 While it does include a fairly decent motor it may have trouble crushing large pieces of ice or frozen fruit. 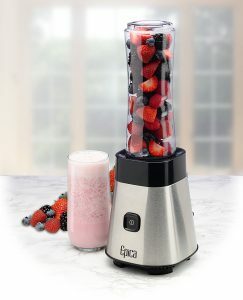 This Epica personal travel blender makes choosing the healthy option while on the go easy. It comes with a 250-watt motor and heavy duty stainless steel blades that will crush and blend your drinks fast. Including a 2 year risk free warranty which is more than most travel blenders. It has one-touch beverage blending, break resistant BPA free mixer jar and is completely dishwasher safe that fits into most car drink holders. The lid it comes with has a tight seal so you don’t have to worry about any spills or leakages. It’s also safe to use with some hot beverages which most other travel blenders aren’t able to handle up to a heat of 175°F. This is the travel blender we chose to be our quick recommendation and it’s easy to see why. While including the features that most travel blenders have it also includes so many more useful features that the others do not and all at a very reasonable price. We recommend this product highly to anyone seeking a top quality product with all the extras for a fair price. This particular travel blender has a feature no other blender on this list posses and it’s a pretty useful one. It’s got a useful double insulation layer to keep iced drinks colder for longer which is great in the summer months. 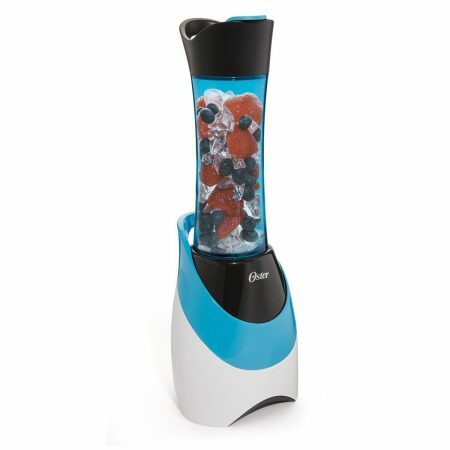 It comes with a powerful 600-watt ice crushing motor that will make quick work of any ice and frozen fruit. It has an easy to hold base, BPA free bottle, 3 year warranty and fits most car cup holders. Includes a flip top to put straight onto the bottle that will allow you to sip straight from the bottle which is great for use on the go. 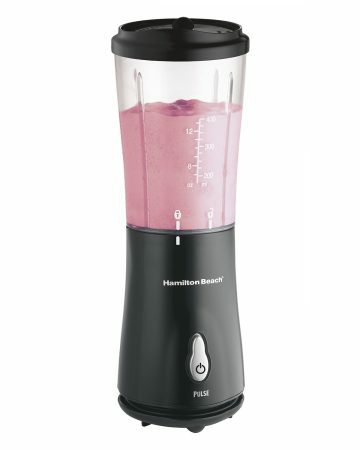 The Hamilton Beach Go Sport blender is a great option if you are mainly wanting to use it in the warmer months as you can really put the double insulation to good use. While it is easy to use it may have trouble blending near the very bottom of the container but this is not a problem if you prefer a slightly more chunky smoothie or shake. After researching the best travel blenders we are proud of choosing our top 5 picks and it was a hard decision between them to choose one for the quick recommendation, but they are all fantastic products in their own individual way. We hope you’ve enjoyed reading our guide to choosing the best travel blender for you, and that you’ve been able to find one that provides everything you need for blending drinks while on the move. However if you didn’t manage to choose one or would like a wider range of products we recommend that you check out Amazon’s best seller’s list here to help you.